Fewer than ten mushers out of the 67 competing in this year’s Iditarod are Alaska Native. The only Inupiaq musher to win the Iditarod, John Baker of Kotzebue, is not racing this year, so it now falls to other competitors to bring home the championship. Before the ceremonial start of the 2018 Iditarod on Saturday, veteran musher Ketil Reitan of Kaktovik remarked on how fewer Inupiaq people are dog mushing nowadays. Although Reitan’s son Vebjorn Aishanna Reitan completed the other 1,000-mile sled dog race, the Yukon Quest, in February, he is not racing in this year’s Iditarod. Yupik musher and longtime resident of Bethel, Pete Kaiser, figures it’s harder for some who live in smaller rural communities to afford the Iditarod. Mike Williams, Jr., of Akiak agrees with Kaiser, saying that the cost is prohibitive for some Alaska Native mushers. But despite that, Williams sees more and more native people mushing in his hometown. Traditionally, sled dog mushing was an activity many Native Alaskans enjoyed before it became a competitive sport, which Williams, a Yupik musher, knows better than most. Since he was a boy, Williams has been training sled dogs with his father, Mike Williams, Sr., who has completed 15 Iditarods, his last one in 2013. As Mike Williams, Jr., departed the Iditarod checkpoint of Takotna at 11:45am Thursday morning with 13 dogs, he said he was happy with his position in the middle of the pack. 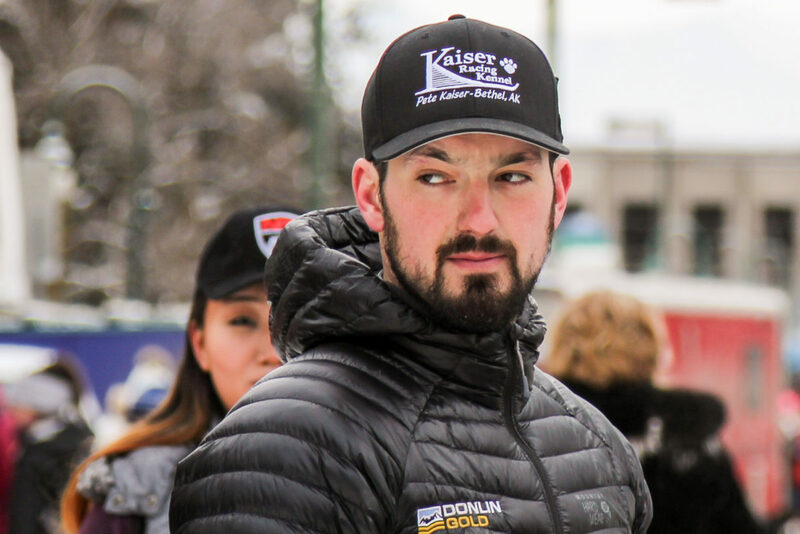 The younger Williams has run six Iditarods and finished in the top ten once thus far. Kaiser, on the other hand, has four top ten finishes in his eight Iditarods. When asked if he would be the next Alaska Native to win the Iditarod since John Baker, the four-time Kuskokwim 300 champ wasn’t very cocky. “I don’t know, it’s hard to know; we are definitely giving it our best shot, but we’re only 300 miles into this, so it’s hard to know right now… we’ll do the best we can,” Kaiser said. Davis Hovey is a news reporter at KNOM - Nome. Hovey was born and raised in Virginia. He spent most of his childhood in Greene County 20 minutes outside of Charlottesville where University of Virginia is located. Hovis was drawn in by the opportunity to work for a radio station in a remote, unique place like Nome Alaska. Hovis went to Syracuse University, where he graduated with a Bachelor’s of Science in Broadcast Digital Journalism.